Acceptance is among the most basic human needs, yet it has managed to stay just out of grasp since its inception. As a result, many of the World’s youth turn to drugs, gangs, and empty relationships to gain a sense of belonging. And what’s worse; the youth of yesterday are the trustees of tomorrow, yet we sit silent in the prison of our present. Your voice is in your choice to accept. The artwork behind the movement, “the Face,” was conceptualized by Dan Henderson and commissioned to Sara Smith. The face represents everyone and no one all the same. It is nameless, faceless, genderless, and ageless. The face is without race, sexual orientation, social class, or religion. It represents you, me, a stranger, and a friend. 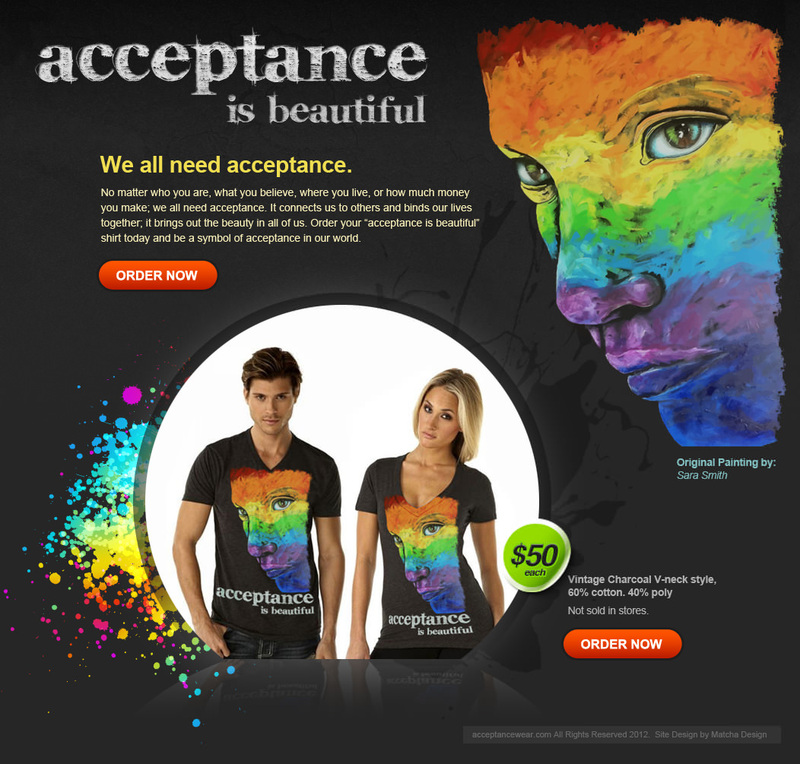 Dan Henderson, husband, father, and serial-entrepreneur, is the founder of AcceptanceWear.com, which is a grassroots movement formed to promote Acceptance. Dan is passionate about doing the right thing, and inspiring others to do the same, and above all feels that how you treat others is a true reflection of the character of a person. Dan’s vision is that “the Face” becomes a universal symbol of Acceptance. Dan Henderson, AcceptanceWear, and its affiliates support local, national, and International organizations whose activities align with the primary goal of our movement and purpose for existence.